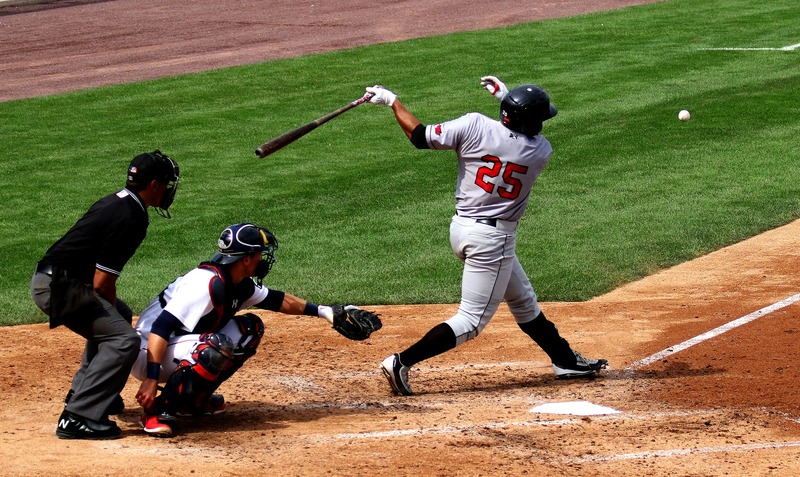 Whether you’re throwing out base runners from the confines of Fenway Park or turning a 6-4-3 double play on a local Little League field, throwing is one of the most important, and physically demanding, aspects of baseball. Perform the drill’s seven separate steps in sequence to ensure proper arm development. Stand shoulder- width apart, with throwing arm placed upwards at a 90- degree angle. While holding elbow with glove, throw ball to partner using just the wrist. Sit with legs spread and arm in same position as exercise above. This time use the area from the elbow up to throw ball to partner. Remain sitting and throw ball by rotating hips and turning upper torso. (Focusing on follow- through is not necessary.) Use the glove arm or elbow to direct throw. Go to one knee. Throw ball by rotating hips and turning upper torso, as in above exercise. This time emphasize follow- through across the raised knee. Stand with glove arm closest to partner, and feet shoulder- width apart. Repeat the above steps, concentrating on follow- through. This time throw without moving your feet. Long toss is the last step. Stand approximately 10 feet apart and toss the ball to partner as quickly as you can for one minute. You can even keep track of the number of catches to turn this into a competition. Emphasize a quick release and concentrate on the ball entering and leaving the glove. Note: For infielders, you can turn this last step into a quick toss by reducing the distance. 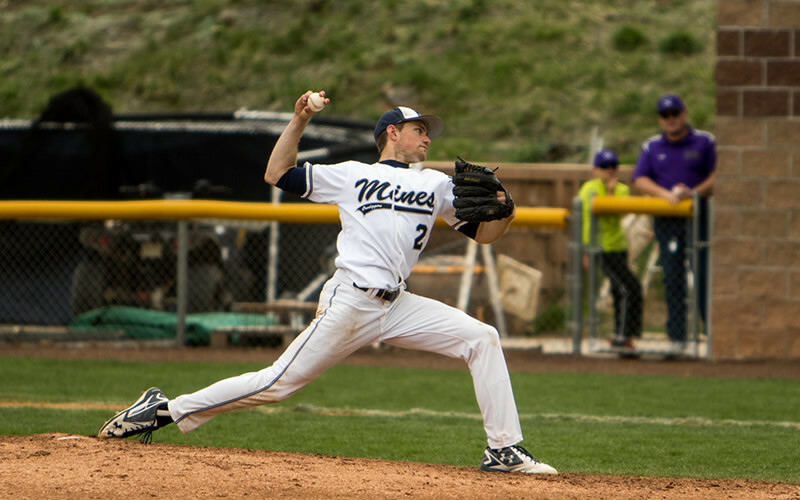 By following the steps above, players will find it easier to make all the necessary throws in a game, as well as keep their arm healthy throughout an entire season. A good goal to have, no matter the league, when opening day rolls around. It’s important to remember that baseball drills can get somewhat monotonous if your not careful. 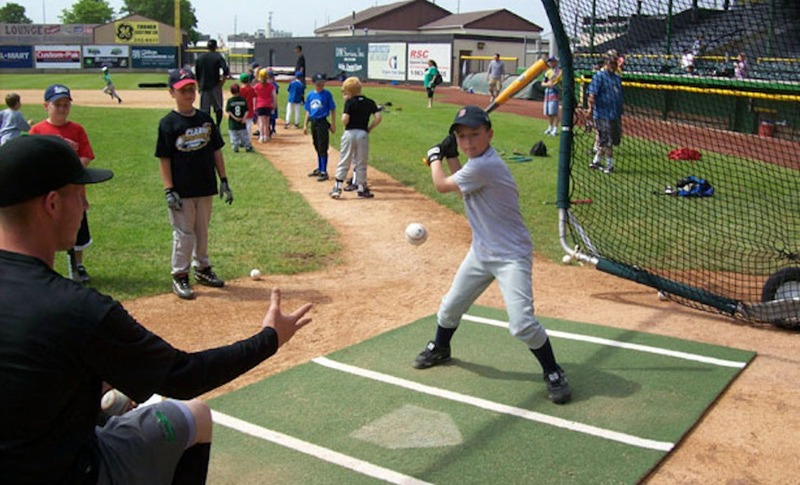 Try to turn your baseball drills into fun games and competitions whenever possible. Kids love competition and they will love the drills that involve competition. Not only will the kids enjoy it more, they’ll also work harder at the skill. Another aspect of some of the drills, is the use of space. There are advantages to using less space on the baseball field when running your practices. Unless you are specifically interested in throwing for distance in a drill, work on throwing when you have the kids play catch. It’s easier to communicate and coach when the kids are closer to you. It’s easier to get more reps in if the kids don’t have to make as long of throws. If you would like more tips on how to implement your youth baseball drills during practice, please visit our Baseball Drills – Coaching Tips page.